"This is my favorite thing to do, because I love sound. 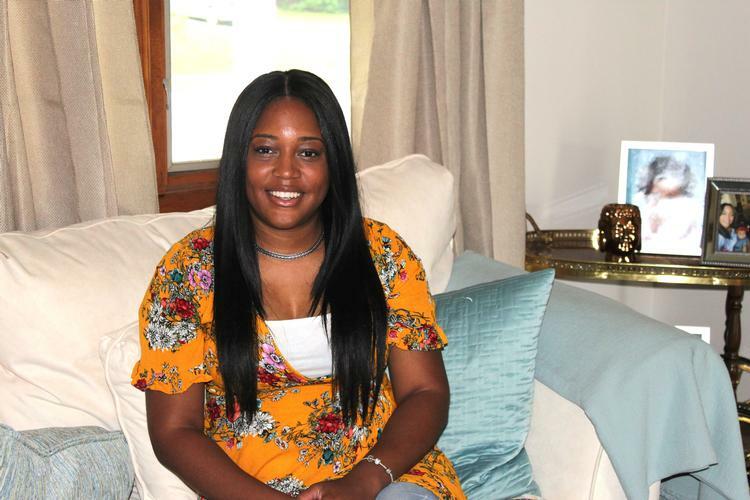 It can make you happy right away,” said 17-year-old Jazmin, while describing a sound mixing project she completed as part of the PAST Foundation’s summer program. 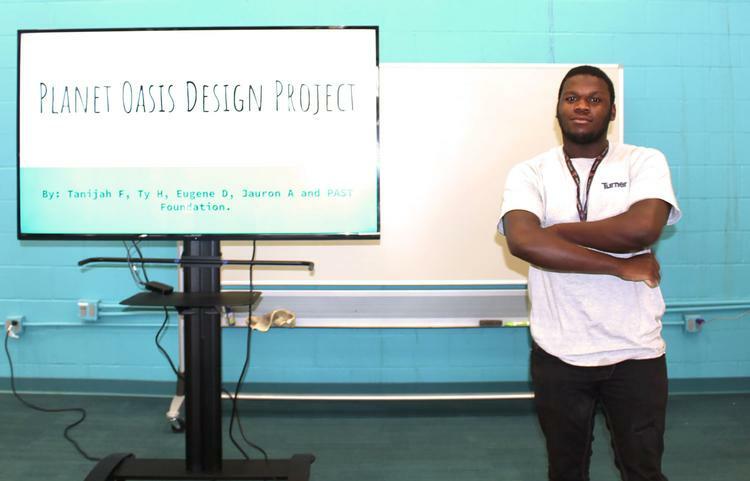 FCCS youth recently completed the program as part of IMPACT Community Action’s Summer Employment Program. It was also sponsored by the Idea Foundry and Workforce Development Board. 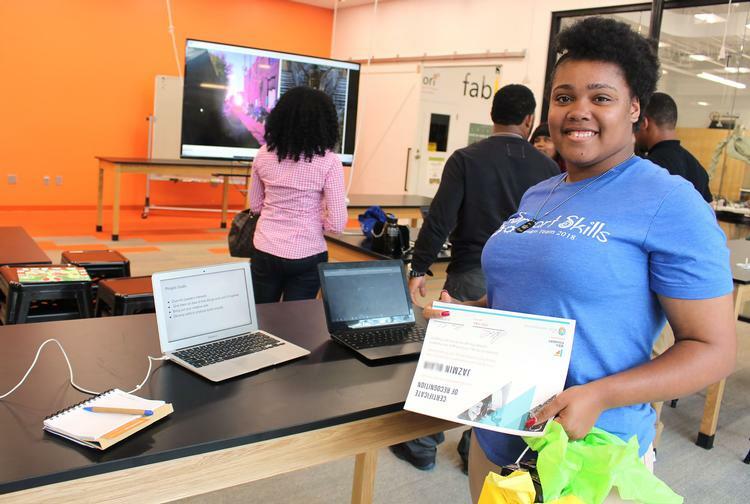 Jazmin is among 19 FCCS youth who completed projects which involved: robotics, 3D Design, virtual reality, video and music production, photo editing, business analysis and critical thinking. Other projects challenged the youth in a variety of ways. One team used research and analysis to find a practical way to reduce immigrant mortality by creating desert water stations. Another involved determining which local employer had the highest employee satisfaction and why. They also created robots, made 3D printing projects, learned about photography and editing images, and much more. Each participant was required to give an oral presentation about their project. During her presentation, Jazmin described creating her audio production, Loving Forest, with the help of staff at the Idea Foundry. “I learned to improve my critical thinking and use criticism,” she said. Of the 19 participants, eight will continue to be part of IMPACT’s program for the remainder of the year, while four youth enter college this fall, four have taken on full time jobs and three are entering vocational/career training. All have become skilled innovators. “We can tackle problems, come up with solutions and create better ideas,” said Jazmin. Join us on September 28 for Children’s Day at COSI from 5 to 9 p.m. It will be the place to be for fun, entertainment and learning. This annual event is made possible thanks to a partnership between COSI and the Franklin County Commissioners. FCCS families will receive free admission, while the general public can attend at a reduced rate. Parking is $6. Families who attend Children’s Day are in for a treat. In addition to exploring COSI’s hands-on exhibits, they can enjoy live entertainment on stage including: Joe Lyons Magic, Arnett Howard, Bob Piascik Sing-a-Long and Supa Fun Trio. 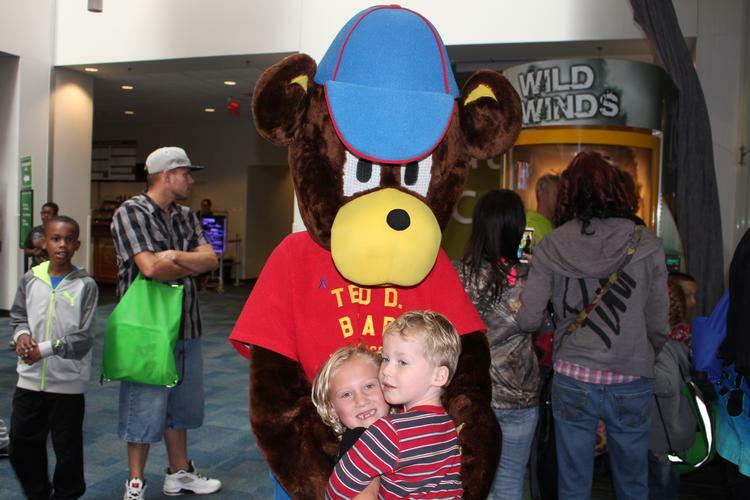 They can also dance and mingle with local mascots including FCCS’s own Ted D. Bear. Children Services will provide community resource materials for everyone who attends including parenting tips on topics such as stress and parenting, choosing your partner carefully and leaving a child at home alone. Click here to learn more and download a printable flyer. During Kinship Month in September, we recognize the grandparents, aunts, uncles, other relatives and family friends who step in to provide children with a stable and loving home during the absence of their parents. They offer consistency and love during a disruptive time for a child. Kinship care creates a sense of familiarity and belonging, allowing the child to stay connected to their culture and community. Deanna Poindexter is a kinship provider for 18-month-old Bella, with whom she has no blood relation. Poindexter has made many sacrifices to ensure that Bella is thriving in a safe and loving environment. She and Bella are proof that kinship is a feeling of connection. They may not be blood relatives but their bond makes them family. Shortly after Bella was born, she was left with one of her relatives. Poindexter visited that relative (one of Poindexter’s family friends) after Bella’s arrival and found the infant in need of a long term home. A week after experiencing what she described as “love at first sight,” Poindexter became Bella’s caregiver. To learn more about FCCS’s Kinship program click here, contact (614) 341-6161 or email kinship@fccs.us. Providing advocacy and support, Us Together has been there for thousands of central Ohio immigrants and refugees since 2003. This statewide agency with offices in Toledo, Cleveland and Columbus was started by and is currently run by former refugees and immigrants. They know firsthand what it’s like to flee often horrific circumstances and start completely over in an utterly foreign place, according to Sorailla Duquerette, an Us Together women empowerment specialist based in Columbus. Compassionate and empathetic, Us Together’s staff is multilingual and trained to assist clients in a culturally sensitive, trauma-informed manner. Whether it’s American views on arranged marriages, contemporary gender roles, mental health counseling or women in the workplace, adjusting to unusual cultural and social norms is another significant barrier for her clients, according to Duquerette. “Learning a new culture is a struggle for anyone, so imagine getting dropped off in a country, having no downtime or prior acculturation, and having to immediately transition to the societal norms,” she says. Artwork created by FCCS youth Cherish, age 11, was chosen to be featured in the Public Children Services Association of Ohio’s (PCSAO) 2018 conference materials. Cherish created “Pieces of My Life” while participating in the agency’s Therapeutic Arts Program (TAP), which uses the arts to enable youth to express themselves and work through trauma. Artwork created by youth in FCCS’s Adoptions and TAP programs will be featured in an agency show and silent auction from September 24 through October 5. 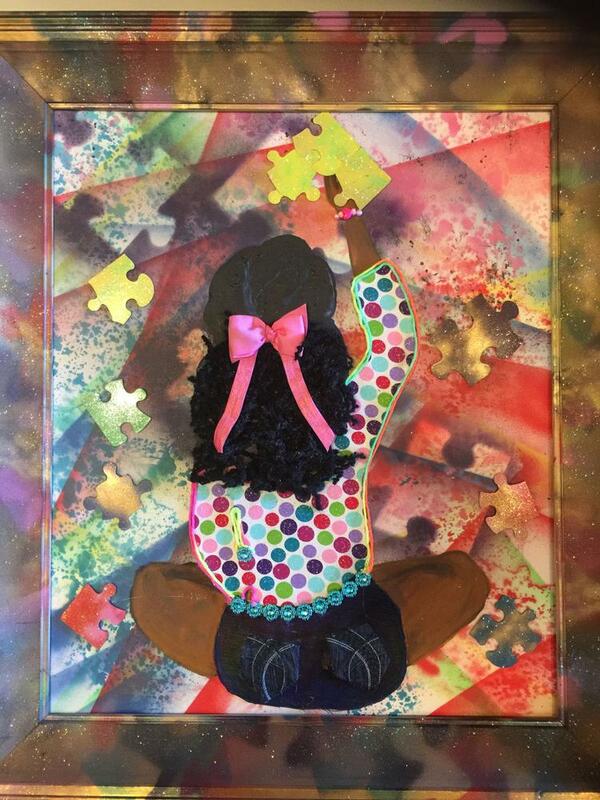 Children Services' presents "My Journey of Hope," an art show and silent auction of work created by youth in the agency's therapeutic arts and adoptions programs. The show is open to the public. Click here to learn more. At FCCS's annual Children's Day celebration at COSI, children and families involved with FCCS will receive free admission to COSI exhibits, while a reduced rate for general admission is available to the public. Join us to enjoy local musicians and shake hands with local mascots, including FCCS's own Ted D. Bear. Parking is $6. Click here to learn more about Children's Day at COSI. 9 a.m. to 12 p.m.
FCCS will sponsor a team participating in this event which raises funds for college scholarships including the FCCS Alvin R. Hadley Scholarship. This scholarship is presented to an agency youth each year. For more information, visit www.uncf.org/events/event/2018-walk-for-education-columbus.or call (614) 221-5309.